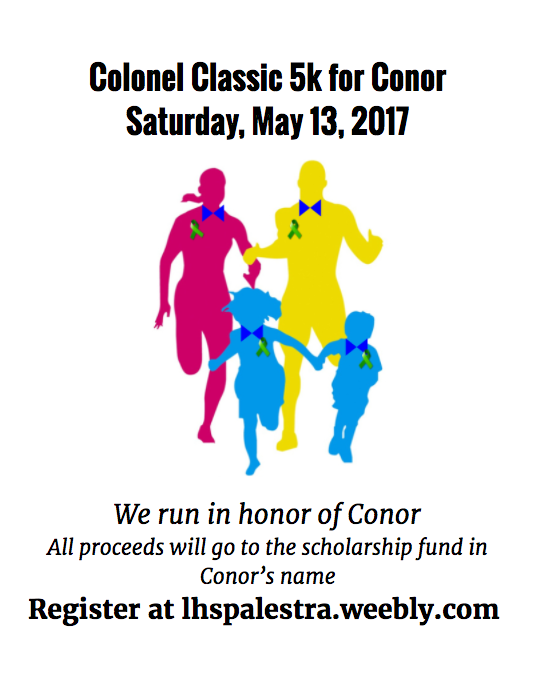 The 4th annual Colonel Classic 5K Road Race is in honor of Conor Irwin, a beloved student who passed away last December. The moderately hilly picturesque route (partially closed to traffic) is highlighted by flat, stone wall lined, country roads, in rural southeastern Connecticut. All proceeds benefit Conor Irwin's Scholarship Fund. Presented by PALESTRA, a student led group attempting to "change our world through sport". 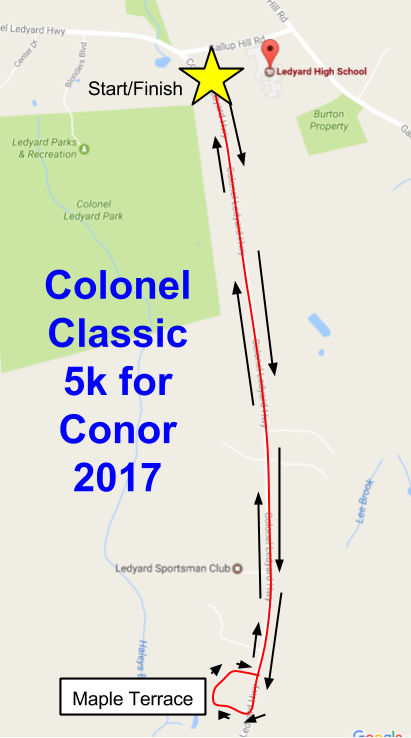 The 5K course is described as moderately difficult and semi-hilly beginning on Gallup Hill Road, it bears left on Colonel Ledyard Highway and continues for approximately 1.5 miles. At Maple Terrace, turn right, then loop back and turn left onto Colonel Ledyard Highway. Continue along Colonel Ledyard Highway until the finish at Ledyard High School’s main entrance.